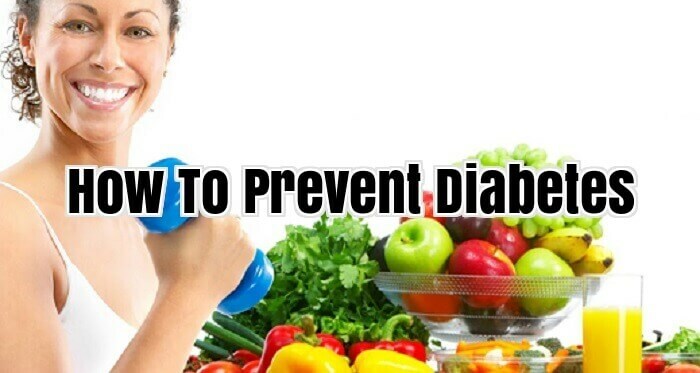 3 What Are The Ways Of Preventing Diabetes? It is a sign of the industrialized age that diabetes is one of the leading causes of death, the 5th in the U.S. only. Not just diabetes itself but also its related complications such as circulatory and eye sight problems. Diet is the main culprit for the onset of diabetes, closely followed by a sedentary lifestyle, as the surge of people affected in the last century testifies. Before the industrial age people were eating a healthy mix of cereals, fruits, nuts, vegetables and the occasional game. Indeed the human body has evolved for thousands of years to extract all the nutrients it needs from natural unprocessed resources, just like all other species populating the earth. Unfortunately, the industrial age has completely upset the food supply, making it more and more refined and processed. Sugars, sweets and acid forming food have become readily available and “convenient” for mass consumption with the obvious consequences this new nutritional habits have on the human body, specifically the pancreas. While with the old healthy diet the pancreas was working out, so to speak, to produce insulin and keep the blood sugar levels ideal, the massive supply of refined sugar and processed food of our age has made it too hard on the pancreas. Fast absorption carbohydrates make it harder and harder for the pancreas to produce more and more insulin to stabilize sugar levels. In turn acid levels from the sugars and uric acid increase further and directly attack the pancreas beta cells, responsible for insulin production. The pancreas eventually becomes exhausted and over trained, so to speak, and stops producing insulin, hence diabetes. Diabetes is therefore a symptom of a sick pancreas. At this point the common scenario worldwide consists of insulin prescription which in turn leads to dependency for life, unless a drastic change in diet and lifestyle comes into play. Most people don’t change and keep being reliant on drugs for life, failing to realize that the best strategy to fight their condition is prevention and a complete overhaul in their lifestyle. This is not anyone’s fault because pharmaceuticals companies have an interest in keeping the status quo, so they can keep profiting on millions of sufferers. Yes, some people may develop diabetes more easily than others, so sometimes drugs could be justified for those more sensitive individuals, but overall I think that prevention alone would drastically cut down on the misery of millions, but unfortunately also on pharmaceutical companies’ profits. Think about it, running you’re your body on sugars and processed food after thousands of years of cereals, vegetables, herbs, fruits and the occasional meat, is like suddenly switching your car from gasoline to diesel or vice versa. No surprise it will stop working and you’ll need to recover it to a mechanic for a deep cleanse. The good news is that you can reverse the ill effects of an unhealthy diet and defeat diabetes with a drastic but healthy change in your diet and kick the insulin dependency for good. The incidence of type 2 diabetes has increased hugely in the last few years. Here we discuss some dietary and lifestyle changes that may prove important in the prevention and treatment of diabetes. Diabetes is a medical disorder which is characterized by hyperglycaemia or high blood sugar symptoms and levels. This is usually due to problems with the secretion of insulin, the hormone responsible for controlling blood sugar levels within the body. The two main forms of the condition – Type 1 diabetes and Type 2 diabetes. In both cases diet is a key factor in the treatment of diabetes. Type 1 diabetes is usually diagnosed very early on in life and is caused by a genetic fault which affects the body’s ability to secret insulin. Most people with Type 1 diabetes have to take daily insulin injections. Diet is very important for these people as a means of controlling their diabetes however dietary change cannot prevent Type 1 Diabetes from occurring. The number of cases of Type 2 Diabetes has increased drastically in recent years. It is often referred to as Adult Onset Diabetes and occurs later in life. It is strongly associated with increased body mass and obesity, and the risk of developing this disease can be greatly reduced through dietary monitoring, weight reduction and exercise. Uncontrolled or untreated diabetes has many risks, which can be life threatening. Such complications include cardiovascular disease, chronic renal failure, and retinal and nerve damage. Therefore it is clear that seeking treatment of diabetes, in addition to general advice on living with the condition is very important. Proper diet, medication and lifestyle changes can keep diabetes under control. The risks of developing Type 2 Diabetes can be greatly reduced with a few easy-to-make lifestyle changes. It has been proved that wrong eating habits, obesity, lack of exercise, bad habits like smoking and stress all contribute to causing Type 2 diabetes. Eating sugar and refined carbohydrates does not cause diabetes, however a high intake of these foods may contribute significantly towards weight gain – which is responsible for diabetes. Achieving and maintaining an ideal body weight by following a healthy diabetes diet is an important step in the prevention and treatment of diabetes. A reduction in both simple sugars and the intake of simple carbohydrates is ultimately beneficial in the treatment of diabetes. This means reducing white bread, simple cereals, juices and high-sugar beverages. Complex carbohydrates like whole grain pasta, breads, pulses and basmati rice should be eaten in preference – portion size is still important though. Carbohydrates should be spread through the day, with a small to moderate portion at each meal. Proteins assist in building muscle tone and repairing cells; however some protein-containing foods are high in fat such as meat. Therefore keep protein portions to around the size of your fist, and take 1 portion with each meal. Choose lean options such as fish, eggs, tofu and lean meat. An overall reduction in fat intake is important in both the prevention and treatment of diabetes. Identify the harmful and good fats in your diet and make the appropriate changes. Trans fats, found in many processed foods, are the most harmful. Saturated animal fat found in meat and dairy also contributes to boosting your cholesterol. Monounsaturated fats such as olive, peanut and canola oils have protective effects – so use these as your oil of choice. Avocadoes and nuts also contain monounsaturated fats. Drinking plenty of water is essential to wash away the toxins from the body. A good fruit and vegetable intake is crucial in the treatment of diabetes. These items contain an array of anti oxidant vitamins as well as different types of fibres that help to stabilize blood sugars. Of course fruit contains some natural sugar (fructose) so if you have been diagnosed with diabetes you need to ensure you spread it throughout the day and sticks to around 3 portions. Exercise is crucial in preventing diabetes – both from the point of view of regulating weight and in preventing insulin resistance (which can occur prior to the development of diabetes). Jogging, swimming, tennis or joining a gym are all recommended but failing that just try to ensure you walk as much as possible each day. There are some natural remedies available for the treatment of diabetes like fenugreek seeds, onion and garlic, margosa or neem extracts (azadirachta indica – a subtropical tree) and bitter melon or bitter gourd extracts. Such remedies have no proven efficacy, however, and should not replace prescribed medication for diabetes control. What Are The Ways Of Preventing Diabetes? Changing eating habits and beginning an exercise program has been proven to be an effective method of preventing the development of pre-diabetes. Also called impaired-fasting glucose, pre-diabetes is reversible; that is; sugar levels can be returned to normal with medication, diet, and exercise, meaning that a diagnosis means you can do something to ward off impending, full-blown diabetes. But, what exactly is pre-diabetes? It is the precursor to developing type 2 diabetes and refers to higher than normal glucose content in the blood. OGTT, the glucose tolerance test, is used to measure your blood glucose level after an overnight fast, but unlike the FPG, you are also given a glucose drink two hours after the test. Your blood glucose levels are then checked two hours later; if the range is between 140 and 199 mg/dL (milligrams per decilitre), you will be considered pre-diabetic. These levels are also an indication that you may develop type 2 diabetes later on. If you are tested positively as having pre-diabetes, it is important to take annual tests so that you catch developed diabetes in its early stages. Early diagnosis is the easiest way to get the disease under control before too much damage has been done to vital organs. Consistent diet and exercise can restore blood sugar levels to normal ranges. The American Diabetes Association (ADA) recommends just thirty minutes per day of exercise, in addition to losing weight to help prevent the development of diabetes. Preventing or delaying the onset of diabetes is your responsibility; make the lifestyle changes necessary to improve your health today. Diabetes has become a prime concern for people in today’s world. The main reason behind millions of million suffering from diabetes is stress and hypertension. In this fast world, living with the pace has taken a toll on people’s health. There are various medications which have been helping the diabetic patient but a natural remedy is always welcomed by one and all. Due to no side-effect fear one generally opts for natural remedies. So here are some natural recipes which can bring a good and great change to your blood sugar level. Include these natural food items and you can have a tremendously good control on your diabetes. Avocado: it is creamy and rich in taste. It is a big substitute of butter. This has fibre contents which is good for digestion but also gives a fuller stomach to prevent hunger for a long time. Apple: it is a great diabetes controller. An apple per day can bring a good condition in the blood sugar level. With low calorie content apple is good in diet. Apple eaten without peeling is more beneficial. Other recipes of apple are: chop apple and sprinkle some cinnamon powder and let it bake in the oven and have it. Apples with oat meals and yogurt are also good for diabetic patient. Barley: diabetic patient should avoid rice as much as possible. So what is to be eaten instead? Barley has a high fibre content which is good for digestion. It cuts down the fat and does not let the carbohydrate get deposited in the body. Barley cooked or served with soup works wonder on the body. Berries: these have rich fibre contain and is a very good antioxidant. The blue and red berries carry natural compounds call anthocyanin. These compounds are really good in lowering the blood sugar level. They help to produce insulin which helps indigestion. These are good to eat by keeping them in the freezer for some time. Beans: it should be included in the diet for people who have and those who do not have diabetes. It should be eaten at least three times a week. Broccoli: it is highly fibrous and one of the best antioxidants. It has a great part of vitamin C. The broccoli contains minerals like chromium. Chromium is very helpful in reducing the blood sugar level. It can be used in recipes of soups, pastas, noodles and many more. Carrots: it is rich in vitamins. Carrots contain beta-carotene which is useful in dropping down the high blood sugar level. You can have them raw or can enjoy it as fries. Just cut the carrots in thin slices, sprinkle some salt and cinnamon powder, now fry them in olive oil and just enjoy. Chicken: chicken have low fat if eaten from the chest part. Person having high blood sugar level should avoid the skin and leg piece of chicken, otherwise chicken is a big treat to have and enjoy. Fish: is a boon to diabetic patient. The fatty acid present in it is a good remedy for diabetic, heart diseases and cholesterol as well. Including fish item in the diet chart for once a week can be a good source of good health. Eggs: this is a great food to have. Prepare delicious and interesting dishes through this inexpensive food item. It has a good amount of protein which is necessary for the building blocks of the body. Fry it, boil it or cook it, you will sure enjoy every bit of it and at the same time it is healthy. Yogurt: Yogurts are rich in calcium and protein. Insulin resistance is the main reason behind diabetes. Yogurt helps your body fight against insulin resistance which in turn improves your digestion. Olive oil: a boon for diabetic patient. People in the Mediterranean region religiously put olive oil in their recipes. It has low fat content which is tremendously good for digestion. It can be used for cooking, in salads and many more eateries. Sweet potato: opt for sweet potato instead of potato. The sweet potato has very low starch content unlike the white potato. This even tastes better than that. Pea-nut butter: it contains low calories but also fills up your stomach for long hours. Peanut butters can be eaten with toasts or mixed with veggies. Any of the either ways you are going to love the taste. Whole-grained bread: eating of white bread has the same effect as that of eating sugar. So it’s better to switch to whole-grained bread which has more fibres and less sugar and, of course, is better for your blood sugar level. Oatmeal: oatmeal should be included in your food items and if someone is diabetic than it is, of course, mandatory. Oatmeal has a rich fibre content which is easily soluble also. Try to include oatmeal in your soups, stews and other recipes.